iChristmas. . HD Wallpaper and background images in the iCarly club tagged: icarly season 2 ichristmas hq photoshoot. 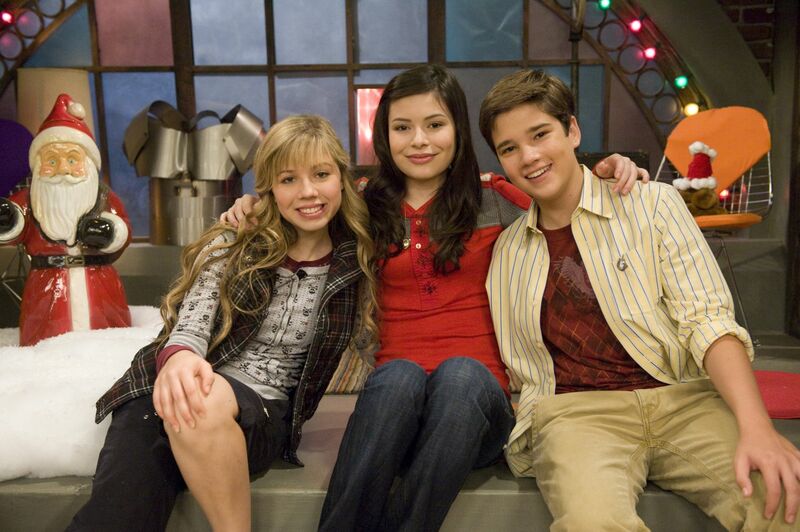 This iCarly photo might contain mahusay bihis tao, suit, pantalon suit, and pantsuit.